I can provide a solution scaled to your needs and budget. I can taylor the solution to your technical skills and train you. They range from the simple to complex, free to pricey. I can work with you to pick the system that fits your needs. I install it on the web server, configure it, customize if necessary, and teach you how to use it. Once on your site customers must be able to find the product they want, I will work with you to create a navigational structure that will help sell your products. Your customers should be able to find products through multiple paths within your site. I can also add site search capabilities if they do not come with your shopping cart software. Your e-commerce site does more than list your products. It advertises your product line. It's another way to communicate with your customers, and gain their trust. Buy a radio from Radio Shack or a dark hole-in-the-wall with dirty floors and broken windows? I'll work with you to give the site a look and feel that compliments your products and you. I'll help you with the other necessary parts of the site like your About Us page, privacy and returns policy, and other pages that will help convince customers that you are trustworthy and an expert in your field. 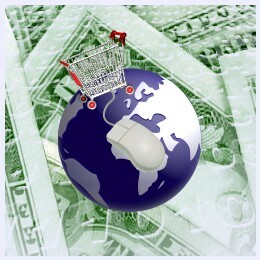 If a prepackaged e-commerce solution will not do, I am able to create customized interfaces to your online databases. I am able to modify packaged PHP or CGI scripts to better suit your products. Whether you sell complex products or simpler ones, few products or many, Clay can design a site that shows off your products. I can help you find low cost starter solutions, which allow easily expansion as your online business grows. More complex? Promotion codes, coupons and other incentives can work with your site to encourage more sales. I help you determine the presentation and complexity needed behind your online store, and help you select the right software solution. Clay can help you set up a Merchant Account, or help you expand your manual credit card processing to allow for online sales. Just starting out with online shopping? Not sure if you want to commit all that money for a Merchant Account? Merchant accounts are expensive if you don't move enough products per month. There are other options such as PayPal or other online payment processing services. Clay can help you select the best way to sell your products online. I can even add PayPal purchase options to sites that are not primarily a shopping cart. I design your site so it is favorable to being listed by search engines. Getting listed on the search engines is not the end all. You need to promote your web site both online and offline. Clay helps you list your online store on other sites relating to your products or geographical location. This both improves your standing with search engines, and provides another path to your door. Clay has the knowledge to steer you away from methods that will get you banned by search engines. I also help you with methods to promote your online store offline. An e-commerce site must be maintained. Clay designs web sites for easy maintenance. New products need to be added. Out of stock products need to be temporarily removed from display. Promotions such as coupons and sales need to be changed to keep customers coming back to your site. Clay can make these updates for you as part of a service contract, or I can train you or someone on your staff to make the updates. I can help you decide if the amount of maintenance justifies a more complex system that automates some of these tasks.